Inky Fairy Designs: SugarPea Designs Guest Designer for July! Hi everyone! I’m so excited to be sharing my first post with you this month as a Guest Designer for SugarPea Designs. 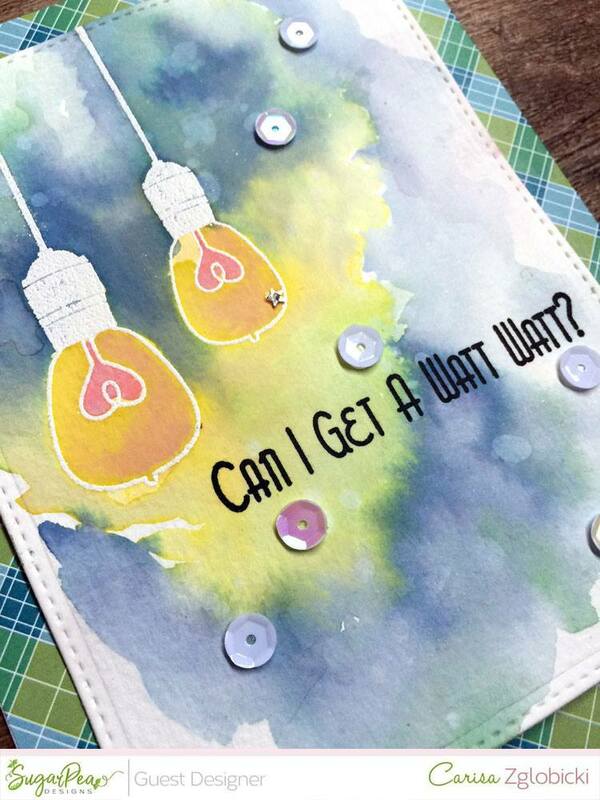 With such an amazing release last month it was hard to decide where to start with my guest designer happy mail but I went with a little bit of an earlier release using Watt’s Up. I can’t help but fall for a great pun!